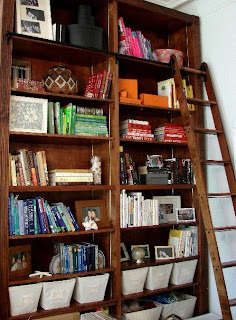 love these bookshelves.. Did you notice they were organized by color?? So something I would do..
Just joined paperback book swap online.. So excited to start trading, and start reading. Yay for summer..